HARARE, ZIMBABWE — The smell of adhesives fills the air. 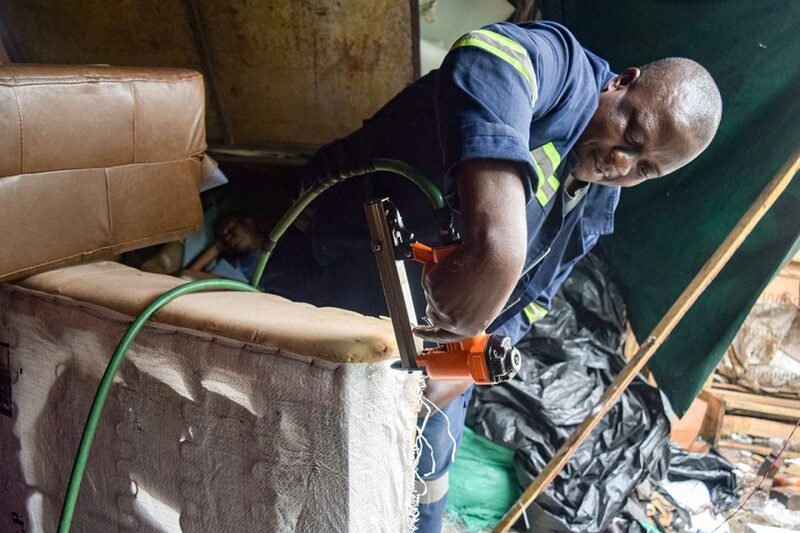 With fingers encrusted in small flakes of paint and shirts covered in sawdust, the handymen of Glenview, a high-density suburb of Harare, transform wood, steel and foam rubber into furniture for sale. Some work in sheds made of planks, tarp or metal roofing sheets, while others are out in the open. They number in the hundreds. Tonderai Muyambiri is one of them. 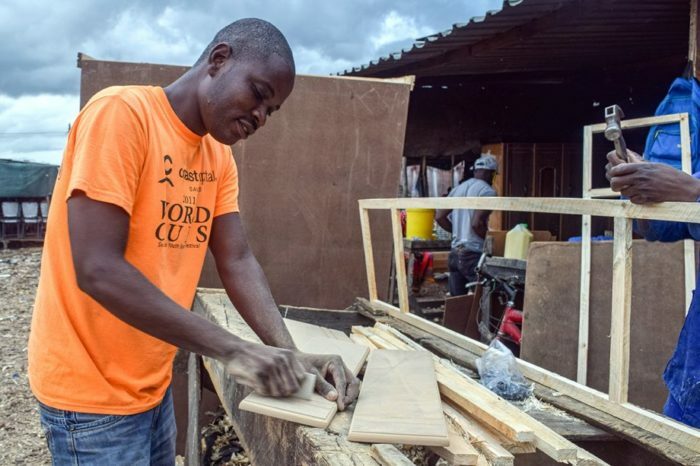 Over nine years, Muyambiri has managed to provide for his family through his furniture-making business, a trade he chose to pursue after watching his father do the same for many years. 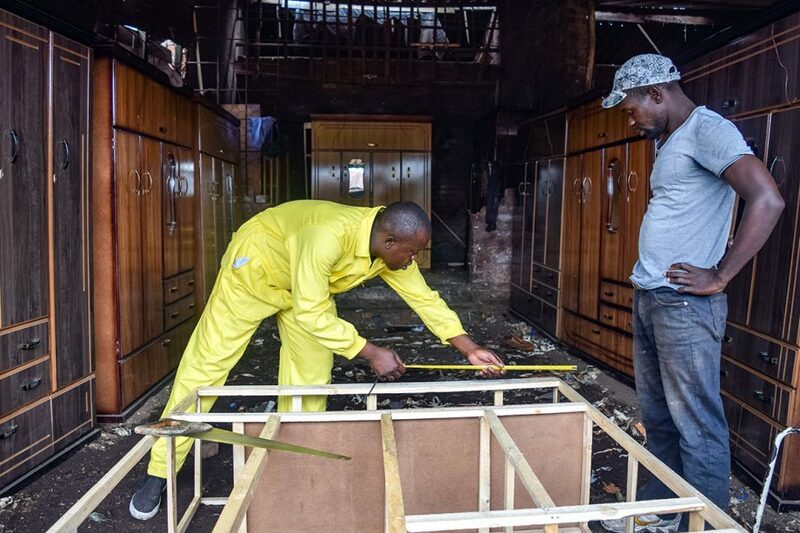 In 2018 alone, two destructive fires tore across Glenview Furniture Complex, the strip where Muyambiri and others have set up shop. Before the two, there were more, Muyambiri says. “l lost machinery and stock ready for sale, all worth around $8,000,” he says of a fire in June. Fire after fire has made the complex a risky place to work. They occur when items such as paint and wood offcuts left in pathways catch flames. 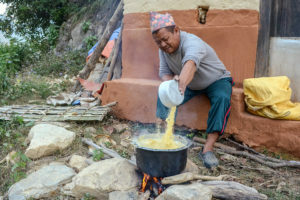 But even after their sheds burn to the ground, the carpenters come back with the hope that local authorities will provide the facilities needed to make the fires stop. A 2014 study by University of Zimbabwe professor Godfrey Muponda found that more than 8,000 people work for small furniture manufacturing businesses across the country’s six largest cities. 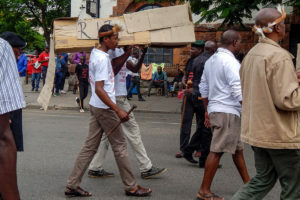 The study also revealed that Harare, Zimbabwe’s capital, had the largest number of furniture makers, with several of them working out of makeshift sites. Glenview Furniture Complex was set up by the government in 2000. 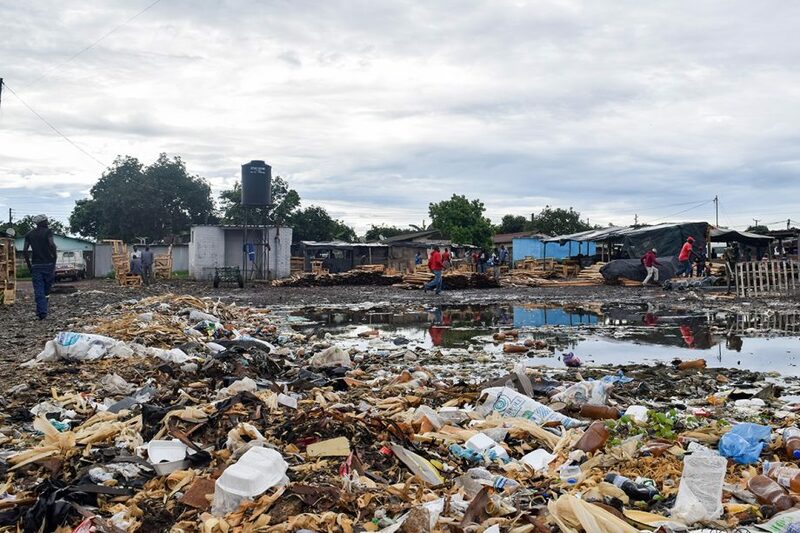 But authorities say many carpenters here arrived shortly after “Operation Murambatsvina,” a cleanup campaign carried out by police in May 2005. 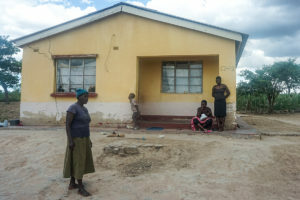 The UN estimates that some 700,000 Zimbabweans lost their homes and sources of livelihood in this operation, which removed illegally built or operated businesses and homes across the country. Like many informal traders, some furniture makers lost their jobs during the operation. 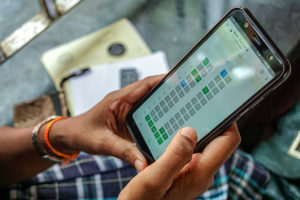 The weeks and months that followed were especially tough for small business owners who were forced to start from scratch, says Michael Chideme, corporate communications manager at City of Harare, the city council. Slowly, authorities gave help to those who no longer had a place to conduct business. The City of Harare finally constructed new work stations at Glenview Furniture Complex. “The rationale was to have a one-stop shop for the upcoming furniture manufacturers and use that area as an incubation [space] for the growth of that industry,” Chideme says. 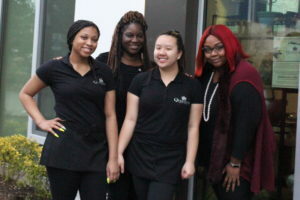 Between 2006 and 2009, the city council gave 1,920 small and medium enterprises free work stations at the complex, according to a 2012 study in the International Journal of Marketing and Technology. Since then, others have moved in – some with permission from the city council and others with permission from people who they believed to be council workers. Chideme says that over the years, the City of Harare has lost control of the furniture market. Even though the complex is owned by the city council, local politicians vying for support in the area are calling the shots, he explains. They collect payments from carpenters who want a work station at the complex and threaten to evict others if they don’t pay bribes, Chideme says. Some of them even claim to be city council workers, and others call themselves “landlords,” he adds. The city council is supposed to regularly collect levies from carpenters and use the money to develop and maintain the site. But these same “landlords” use violence and intimidation to drive away city council workers who come to the furniture complex either attempting to put an end to the practice or collect levies from workers, he says. Chideme told Global Press Journal that he couldn’t give up the names of the people taking money from carpenters or the political parties they are affiliated with for fear of losing his job. Muyambiri on the other hand, doesn’t know these people by name. He says he had to pay a man who claimed to be the owner of his work station when he first started working here. After that, others kept coming. They always asked for rent. “They come occasionally, and we pay $5 or $10 depending on what they say that particular day,” he explains. Muyambiri has no way of telling what his money is being used for. Lovemore Nhema, who started working at the complex in 2005 after making a payment to a “landlord,” is looking for answers too. But he says he’s certain about one thing: the reason why the fires keep happening. Nhema says there was running water when he first started working here. He can’t remember when the water stopped running but it’s been some years, he says. Now, he, Muyambiri and other carpenters are coming up with ways to keep their stock intact should another fire break out. “We are no longer keeping our stock at one place within this complex, but we place our furniture in various locations within the complex to minimize damage,” Muyambiri says. Other business owners are relying on security guards to watch over their items at night, when most of the fires take place. When a fire starts, security guards notify the carpenters, who then rush to the site to move their items, he says. Meanwhile, the City of Harare is doing its part to regain full control of the complex, Chideme says. Soon, city council workers will have police officers accompany them to Glenview Furniture Complex. That way, they can be safe as they collect levies from workers. “We are working with law enforcement to dismantle that political hegemony on council land so that it benefits everyone, and we can develop that area,” Chideme says. 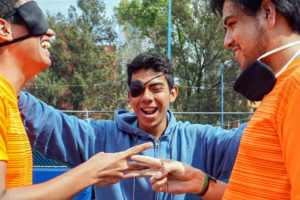 This article was originally published at Global Press Journal. Tags: Business, Global Press News Service, labor, Zimbabwe.